General Robert E. Lee is rolling over in his grave as I write this. And it just goes to show that pedigree aside, we have no shortage of useful idiots out there… even a reverend like Robert Lee succumbs to the siren call of political correctness. For shame. The Rev. Robert Wright Lee IV is a descendant of Robert E. Lee. He took to MTV to state emphatically that he is against hatred and racism. So am I. But where we differ is his enthusiastic support of black militants in Black Lives Matter. He says support them to fight hatred and racism. Ironically in doing so, he supports what he stands against. Wright introduced Susan Bro, the mother of Charlottesville victim Heather Heyer, who presented the award for “Best Fight Against the System.” Bro announced the newly-established foundation in her daughter’s name to provide scholarships to activists. Charlottesville is now the rallying call for communists, Antifa, Black Bloc and Black Lives Matter. They will use it as their justification for a bloody race war and revolution if they get the chance. They cloak their racism and thirst for violence in charity, scholarships and religion. None of which means a damn thing to them. It’s a means to an end. The Rev. 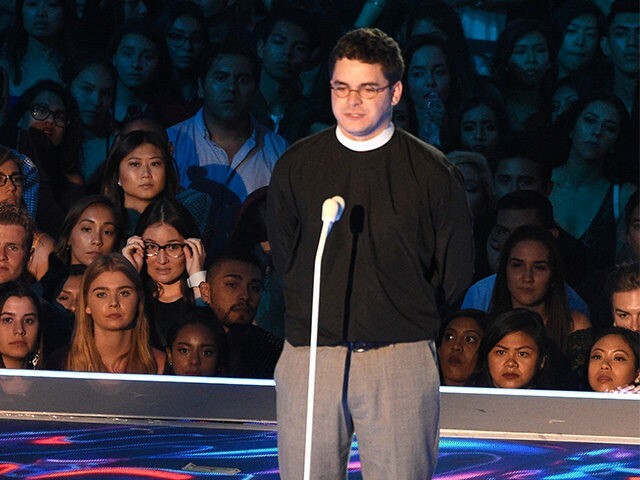 Robert Wright Lee IV, a descendant of Confederate Gen. Robert E. Lee, took center stage at the MTV Video Music Awards Sunday night and urged viewers to find “inspiration” to fight racism in the left-wing Black Lives Matter and Women’s March movements. Wright is a 24 year-old brainwashed pastor. He’s steeped in liberal collectivist theology and has fallen for a false prophet. The left is using him as a voice to remove Confederate monuments from public spaces. He told NPR this month that the country has “made an idol of Robert Edward Lee.” No, they haven’t… but Wright worships at the altar of political correctness, which is damning. The “Best Fight Against the System” award was ultimately bestowed upon him and the other nominees in the category as a symbolic gesture. To follow the communists and racists such as Black Lives Matter is to turn your back on Christianity. Wright is a willing tool of the left and they will put him forth as a paragon of twisted virtue. This is the world we live in now when you listen to a pastor and realize his is a false faith and a call to death and violence. He’s a disgrace and nothing more than propaganda come to life.